Just round the corner from our Westfield store at the display kitchen there’ll be a Japan Centre stand dishing out delicious free samples of firm Japanese favourites for you to try. Nibble on hot, fragrant pork gyoza dumplings or slurp on some calcium rich Calpico, a tasty soft drink you can also use to make cocktails! As is the norm in Japan, no event would be complete without a free giveaway. This event is no different with the first 200 customers receiving a very cool and totally unique (we’re sure you’ll agree) Gyoza Pen! 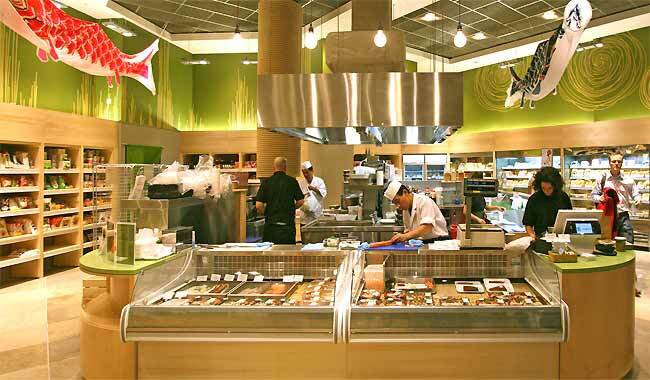 Watch out for more exclusive offers at umai by Japan Centre Westfield coming soon. Posted in Food and tagged Gyoza, in-store tastings, sushi, Westfield Stratford City. Bookmark the permalink.